The perfect training treat for big dogs. Bite-sized SCHMACKOS® Marrobones have a soft, meaty centre wrapped in a crunchy oven-baked biscuit shell. 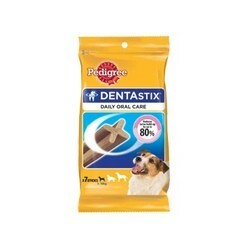 The perfect training treat for all sized dogs. Available in a 737g pack.